The KWH Pipe Ltd Group of Finland has granted Brazil-based Armco Staco S A Industria Metalurgica an exclusive license for the manufacture and marketing of Weholite HDPE Pipe in Brazil. Consists of HDPE pipes, fittings and fabricated assemblies, the pipe is said to have used extensively worldwide in low pressure/gravity service applications with potable water, storm water, sewage and other various liquids. Weholite fabricated assemblies are designed for special functions such as manholes, detention tanks and even individual family-size sewage treatment units for remote regions. 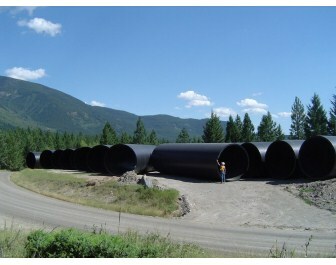 The Weholite pipe’s smooth surfaces enhance flow rates compared with steel, cast iron or concrete. With its extra-large diameters at up to 3,500mm, Weholite pipe also provides an enclosed channel to conduct liquids over some distance. The lightweight PE pipe is continuously extruded and thus furnished in any shippable length, which facilitates quick installation. Its corrosion resistant properties ensure long service life. Cost effectiveness is an important feature of the Weholite product line. Weholite pipe is joined mostly by extrusion welding and the joints meet the standards for leakproof joints. Weholite production operations for Armco Staco will be carried out at newly constructed facilities now underway in Resende, Brazil. Weholite pipe is expected to be available from Armco Staco during the second half of 2013. Initial offering is up to 3,000mm inner diameter.